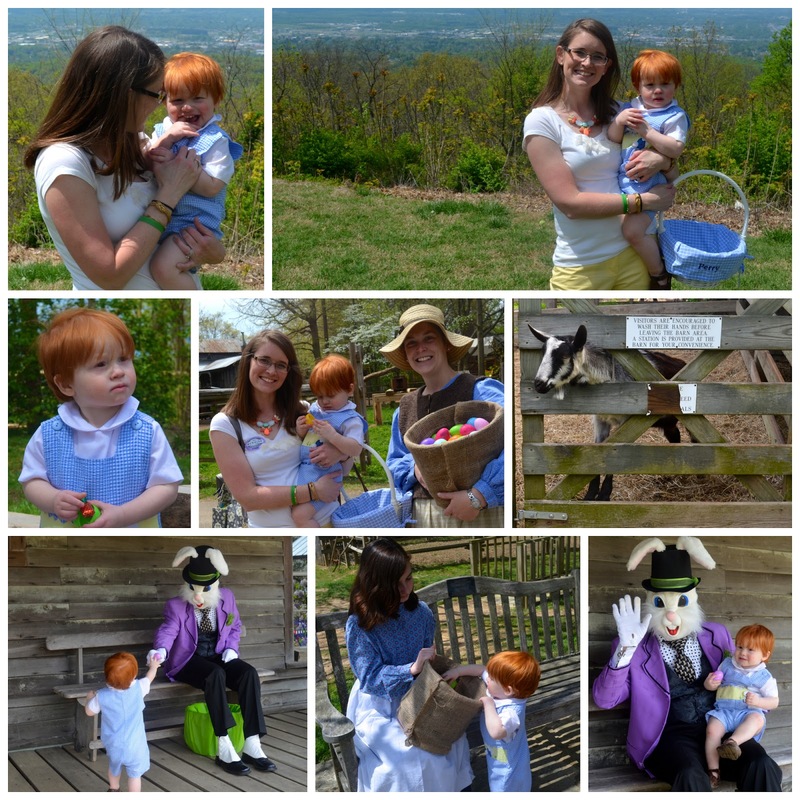 Saturday morning we went up to Burritt on the Mountain for their Easter festivities. Andrew unfortunately had to work, but Perry and I got to take Kristen with us. This mommy was grateful to have an extra set of hands. They didn't have the traditional free-for-all Easter egg hunt. Instead you were instructed to bring your basket and go through their new exhibit all about old time-y gold mining. Along the way, friendly people were stationed with buckets full of eggs to distribute to the kids. 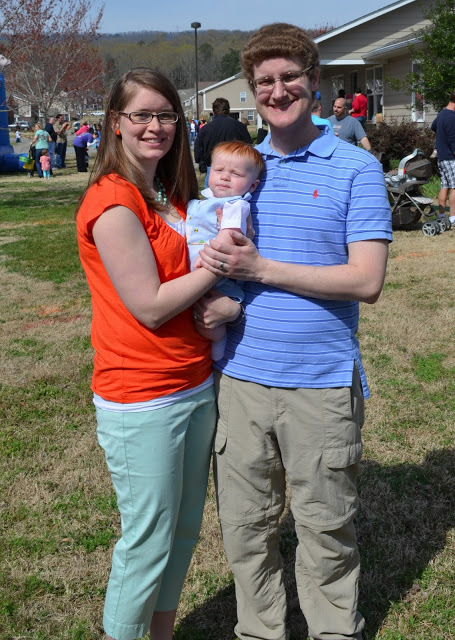 It was just the right speed for a 15 month old who probably would have been confused and trampled at a real egg hunt. We let Perry lead the way (most of the time) and wandered through at his pace. 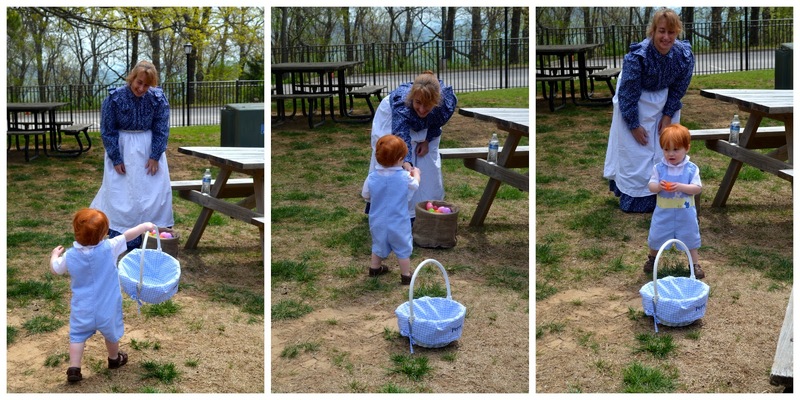 He loved getting eggs to put in his basket. He always wanted to stop and open the egg to see what was inside. We had been training at home for several days with empty plastic eggs. He didn't quite understand the concept of only taking one and more than once flirted his way into an extra egg. It was fun to see all the animals. We spent some time talking to this friendly goat who had his head outside the fence. The baby sheep we saw just a week ago were already getting bigger. It was an absolutely spectacular day outside. Was getting just a little on the hot side by lunchtime when we were heading home. It was a full morning. You would have thought P would have been so worn out that he slept all afternoon. Actually he had serious issues falling asleep...maybe he was just a little too excited from the day. He did get a an hour or two of nap in before we went and met up with Andrew for dinner at Red Robin after he got off work. 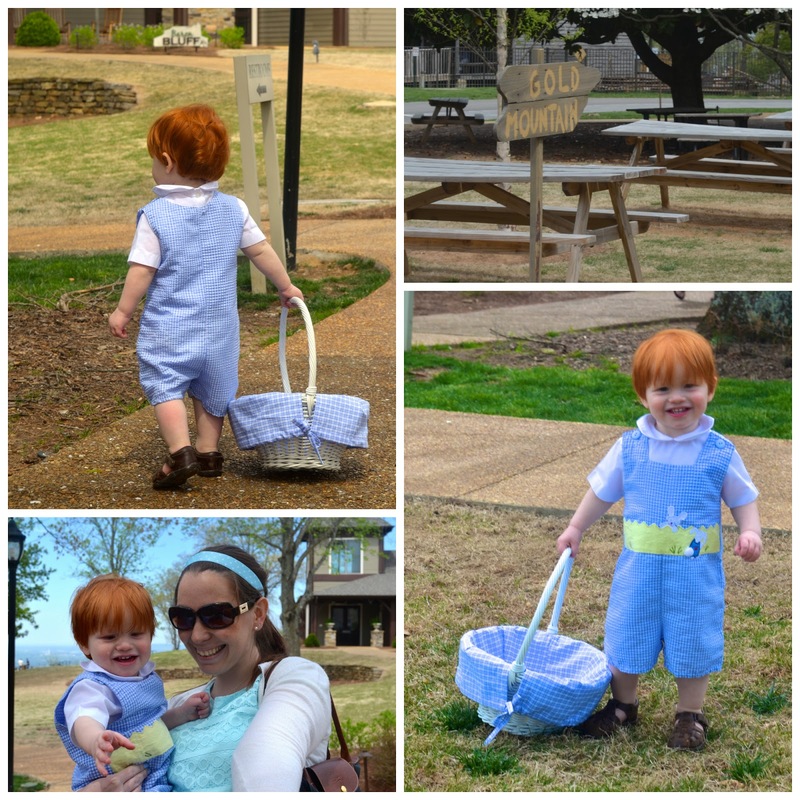 I took a peek back at last year's Easter egg hunt post and pictures. P was so little! In that post I said something like "I can't wait for next year when P can toddler around and hunt for eggs." Mission accomplished.